With the development of VoIP technology over ongoing years, mobile softphone has become an easily recognized term in the business lexicon. A mobile softphone, for those who aren’t acquainted with the term, is a software application that allows people to make calls over the Internet in mobile devices. Businesses, however, aren’t just mind of the term; they are also seeing the benefits that this type of solution can provide to their organization. Coming packed with a slack of business-critical features, mobile softphones allows business to leverage the power of VoIP anywhere easily and conveniently. Whether you want a new way to enable mobility for your team, or looking to outfit your employees with business-enhancing collaboration tools, mobile softphone is the perfect fit. Below are 5 major reasons why you need a mobile softphone. Your smartphone offers great mobility for making everyday phone calls, texting, and more. When you need to deal with a business call, however, there are features that your native dialer simply doesn’t support. Mobile softphones, designed to offer an alternative to your standard smartphone dialer with a slack of business VoIP features, are here to help. With the ability to access enterprise phone system, a solid mobile softphone can turn your smartphone into a fully-featured office extension and gives you the flexibility of working from anywhere. For example, with Yeastar Linkus mobile softphone installed on your smartphones, all your office extension features will always be at your fingertips. Simply by a touch on your phone screen, you can check voicemail, look through the office directory, dial extensions, transfer a business call, and even more. Productivity no longer suffers from being away from the office building. And the worry of missing important calls could also be eliminated as your business extension is always with you. Instant Messaging: giving your team another way to collaborate internally for free; A quick message is less disruptive than a phone call and group chat can be ideal for brainstorming sessions. Presence: let presence icons tell if your co-worker is available, on a call, busy, or offline, and know when and how the best to contact with customized presence note. Conference: making ad-hoc conference calls anywhere via your mobile phone, and bringing sale persons, technical staffs, or customers together for an urgent project discussion. File Sharing: share documents, images or any type of files via chat boxes and streamline team collaboration. Robust mobile softphones do more than making and receiving a call; they serve as a mobile central hub where your team communicates and collaborates. If you’re looking for a tool that could outfit dispersed workforce with unified communications, you should have one. If you don’t like handing out your personal number for work purposes, and giving customers access to your cell and home numbers is not the way you’d prefer to handle business. Using a mobile softphone can be a solution. 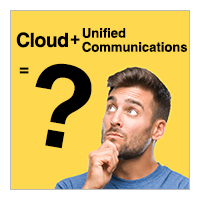 Since softphones connect to a cloud-based or on-premises phone system over the Internet, they are simply offsite devices of that phone system. That means on-the-go workers can use such application to make and receive business calls on their smartphones and avoid the necessity of giving out their personal numbers. One of the best aspects of mobile softphones is that they present an interactive user interface. This allows for many shortcuts and enhancements when using the phone. Below are just 3 simple examples. Visual Voicemail: Instead of taking time to navigate menu prompts, review your voicemail messages in a visual format. Mobile softphones allow you to play and manage your voicemails from the user interface. No dialing or PIN numbers is required. One Touch Recordings: with a simple touch on the “Recording” icon on your call interface, mobile softphone allows you to record a call for free easily and immediately. Incoming Call Notifications: In addition to ringing tones, softphones will notify you of incoming calls through popup notifications with caller ID info. 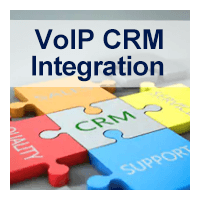 In general, VoIP-to-VoIP calls are completely free, and international and long-distance rates are much lower when using a VoIP softphone versus traditional telephony. By using a mobile softphone that’s registered to your business VoIP phone system, you won’t be charged to call your colleagues, even from the other side of the world, and all external calls to and from your mobile softphone will be billed to your business, at cheaper per minute rates than your cellphone. Used in conjunction with Yeastar Cloud PBX and S-Series VoIP PBX, Yeastar Linkus is a solid mobile softphone solution for companies that want a feature-rich, cost-effective and on-the-go business phone. It works on Android phones, iPhone, Windows and Mac desktop, and let you call, message and collaborate easily anywhere. 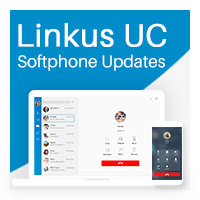 For S-Series VoIP PBX users, a value-added Linkus Cloud Service is also provided to deliver effortless Linkus server setup, instant messaging and more collaboration features. Remote team communications and collaboration just can’t be easier. Download Linkus for free now and take it for a spin!